I'm not sure if it's just me but as soon as the weather starts to change, so does my skin condition. The cold winds and rainy weather make my skin so dry, especially my lips, which makes it a little difficult when applying make up. My foundation seems to go patchy and my lipstick peels off with my cracked lips. Every girls nightmare! Since I've been feeling pretty sorry for myself and struggled to get warm I felt like I was well overdue a pamper night. I feel Sunday's are such a great day to have a pamper, why not start the next week feeling refreshed. 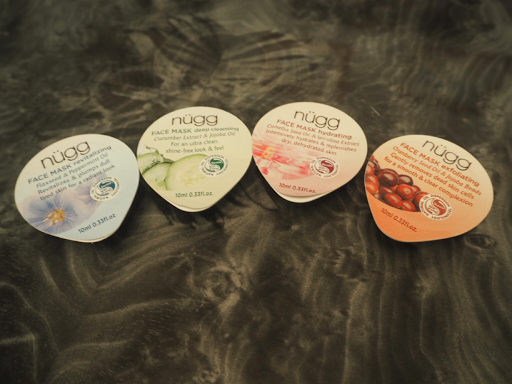 So tonight calls for a hot bubble bath while using the nugg face mask, lip mask and eye mask. Why not do it all ey? The reason I really love the nugg products at the moment is because they are not drying at all. I did try and take some photos using the products but you can't really see them on. Because they look just like moisturiser. They don't have colours added to them to make them noticeable unlike other masks that dry to your face and start to crack when it's time to take it off, or turn a darker shade as they dry, it feels like your treating your skin when you put them on. Even after the allotted time the product is still wet to touch. This is perfect in the autumn and winter months, because when my skin is already dry I don't want to make it worse by adding a drying product. This is same with the face, lip and eye mask. The face masks come in hand little pots that are perfect size for one application, I think this is a great idea as you don't need to worry about the rest of the product drying up. It also means they are really handy to take away with you without taking up too much room in your toiletry bag. 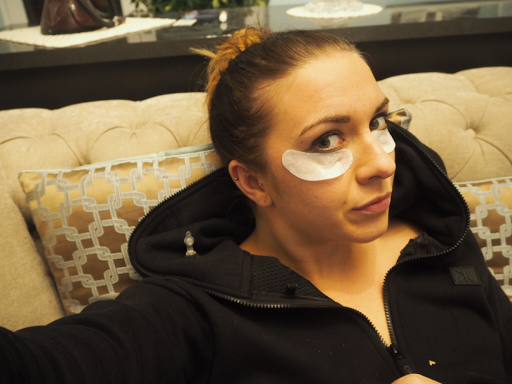 So far I have tried the hydrating, exfoliating and deep cleansing face masks and I've loved all of them. They do exactly what they say they are going to. And they match so well with the lip mask, which is becoming my saviour when my lips start to crack. I've used it the last few nights before I go to bed and my lips feel so much smoother. 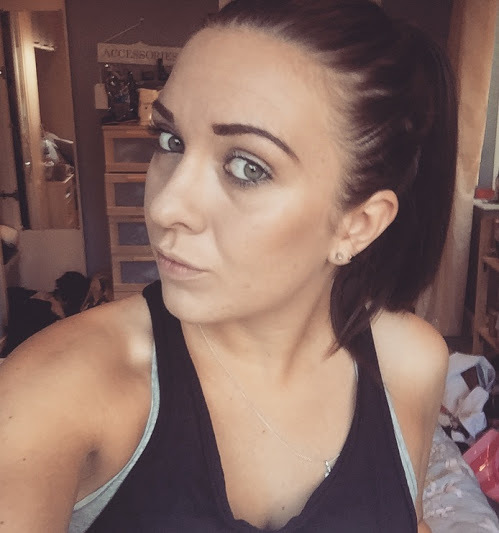 I've only ever used a handful of eye products before, but I'm starting to get to the age where I think I should be treating the awful bags under my eyes with a little bit of love. 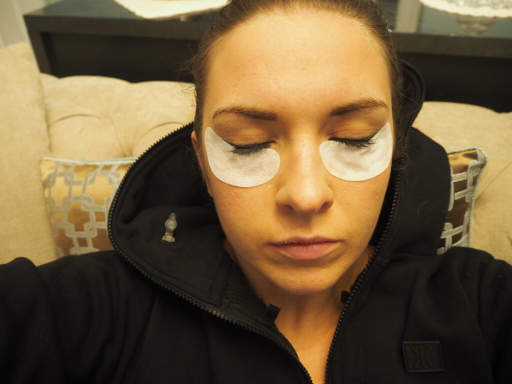 When I'm tired I get terribly puffy eyes mainly because I suffer from severely dry eyes, I have found these eye masks really do hydrate the bags under my eyes, and I've noticed they appear a lot less puffy. Which is great, I have such a busy schedule but I hate that it takes a toll on my appearance. It's so important to pamper yourself regularly, if we don't look after ourselves we feel so much worse. 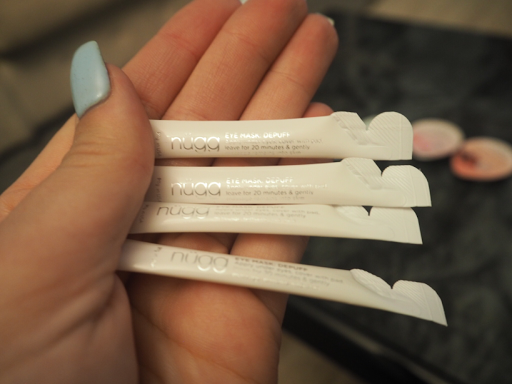 Get your hands on some nugg products now so you can have a pamper evening.